You are here: Home | Exhibitor search | Telstar, Azbil Telstar Technologies S.L.U. Telstar, Azbil Telstar Technologies S.L.U. Telstar is a company that develops high-technology solutions in engineering, construction, process equipment, and services for the life sciences market, including the pharmaceutical and biotechnological industries, hospitals, laboratories, and research centres. Recognised as one of the global major suppliers for the pharmaceutical industry, the company also provides global services to turnkey projects and critical installations. Telstar is one of the few international manufacturers who are able to offer integrated process solutions for the biopharmaceutical industry, with in-house sterilisation, freeze-drying, aseptic and containment barrier Isolators, generation of water and pure steam, as well as clean air technologies. Telstar invests 3% of its turnover in research, development, and innovation of its technologies and equipment. Telstar specialises in the application of in-house technologies to design and develop integrated process solutions, which are implemented in existing facilities or new pharmaceutical and biotechnological plants, as well as new research laboratories. Telstar provides high added-value solutions in consultancy, engineering, and construction of pharmaceutical and biotechnology plants, as well as complete laboratories for the manufacture of medicines, including critical equipment. This encompasses validation, regulatory compliance, and implementation services for logistics management and maintenance systems. Telstar takes on overall management of customised, integrated, innovative and effective turnkey projects, including consultancy, development, and end-to-end monitoring of projects. The company designs integrated turnkey projects, from the technical feasibility study and definition requirements, development of basic and detailed engineering using the most advanced tools to ensure a top-quality result from the start of a project, right through to qualification. All activities are overseen by a project management team of Telstar professionals who works closely with the client to offer support and advice in critical decision-making, as well as ensuring the success of the project. Telstar focuses on strategic technology-based businesses and services aimed at addressing regulatory compliance requirements in critical manufacturing processes in the life sciences sector, ensuring efficiency, quality, and risk minimisation. At the same time, the company also provides compliance with quality regulations and standards demanded by different national and international health authorities. In this area, Telstar supports companies to help them comply with quality standards in research and development (R&D), clinical trials, registration, and industrial and pharmacovigilance throughout a products’ lifecycle. As a subsidiary of Azbil, Telstar leads the life science engineering business division of the Japanese corporation to provide global solutions in design, engineering, and manufacturing processes, with automation technologies for international markets such as biopharmaceutical, research, personalised medicine, regenerative medicine, and foods. Telstar operates in more than 100 countries and has five production plants, seven technology centres, and 13 consulting and engineering services centres, with commercial offices worldwide. It has manufacturing plants in Spain, China, and the UK. Headquartered in Terrassa (Barcelona, Spain), it has a workforce of 900. Telstar has been supplying aseptic barrier Isolators for product and operator + product protection for over 25 years, resulting in a growing number of validated installations located all around the world. Telstar aseptic Isolators combined with third party equipment such as automated filling lines for liquids and powders, significantly reduce the risk presented by direct human intervention and are increasingly being prescribed by the pharma industry. From complete filling lines to stand alone aseptic processes, Telstar aseptic Isolators are designed to supply solutions adhering to regulatory standards and GMP guidelines. Implementing complex projects is achieved by close collaboration between Telstar’s global centres of excellence in both the UK and Spain. Our meticulous attention to detail throughout each unique project carries significant benefits for our clients. Telstar aseptic Isolation solutions are predominantly derived from a standard of range mechanical and electrical components, coupled with a degree of customisation to match specific clients requirements. All Telstar aseptic Isolators incorporate recirculatory unidirectional laminar flow designs as standard, providing a Grade A (ISO 4.8) positive pressure environment. Manufactured to a high pharmaceutical standard from stainless steel with sealed glass vision panels, Telstar’s aseptic Isolators meet the high demands of GMP industry standards and stringent leakage criteria as required by ISO 14644-7. Telstar aseptic Isolator installations would typically include a validated hydrogen peroxide based bio-decontamination system providing a minimum of log 6 reduction; aseptic transfer methods for powders, components and liquids; temperature & RH conditioning; viable / non-viable particle monitoring equipment and a PLC controlled operating system with local HMI. Telstar has been supplying containment Isolators for operator protection for over 25 years, resulting in a very impressive portfolio of installed units located all around the world. Whether supplied as stand-alone Isolators for sampling or dispensing etc, or as integrated Isolator solutions for say tabletting or capsule filling, Telstar Isolators are designed with the operators’ requirements, comfort and safeguard at the uppermost. A clear understanding of the actual application involved, is key to providing a containment Isolator that completely meets the demands of the client and process. With independently validated containment Isolator installations offering operator protection from <1µg/m3 to as low as 0.2ng/m3 (200picogrames), Telstar can offer unprecedented levels in terms of guarantees on the OEL. Telstar is extremely proud of its’ achievements in containment Isolators and as a recognized market leader in this field Telstar continues to challenge the current boundaries in Isolator technology, to keep pace with the ever increasing demands laid down by the market. Lyogistics Zero is the only vial automatic loading & unloading system for freeze-drying processes which can be cleaned (CIP) and sterilized (SIP) in place, inside the freeze-dryer chamber. Developed by Telstar, Lyogistics Zero leads to a new generation automatic vial loading & unloading system for GMP freeze-dryers integrating a steam-sterilizable slider with no concealed parts which is moved by a contact-free magnetic drive mechanism. 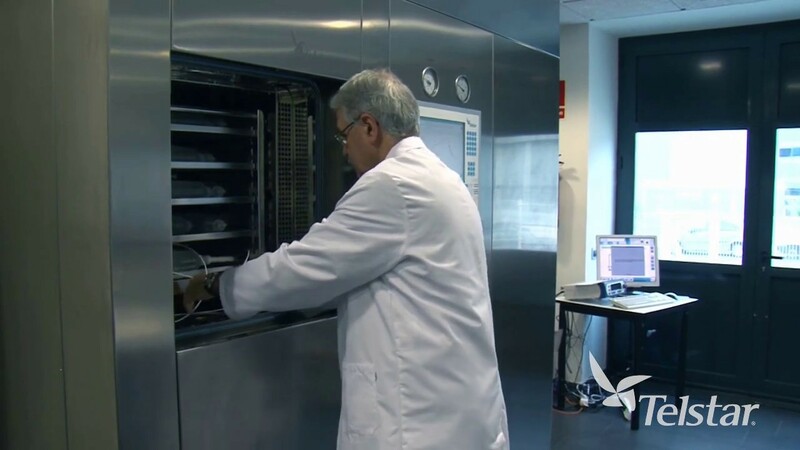 This innovative system enables the transfer device, or ‘slider’, to remain inside the chamber to undergo cleaning and sterilization in place along with the internals of the freeze dryer. The absence of mechanical links between the drive and the slider provides the system with unprecedented levels of precision and robustness. Without belts, bellows or racks, the new loading/unloading system slides smoothly and unhindered to maintain integrity of the freeze-drying process and product under fully aseptic conditions. Suitable for use in production processes involving hazardous products, Lyogistics Zero has been designed to be integrated within aseptic isolators requiring high level of protection for the operator (OEL5), the product (ISO5) and the environment.